For other uses, see Bashkir (disambiguation). The Bashkirs (/ˈbɑːʃkɪərz/; Bashkir: Башҡорттар, Başqorttar, IPA: [bɑʂqʊrtˈtɑr]; Russian: Башкиры, Baškiry, pronounced [bɐʂˈkʲirɨ]) are a Turkic ethnic group, indigenous to Bashkortostan and to the historical region of Badzhgard, extending on both sides of the Ural Mountains, in the area where Eastern Europe meets North Asia. Smaller communities of Bashkirs also live in the Republic of Tatarstan, Perm Krai, Chelyabinsk, Orenburg, Tyumen, Sverdlovsk, Kurgan Oblasts and other regions of Russia, as well as in Kazakhstan and other countries. 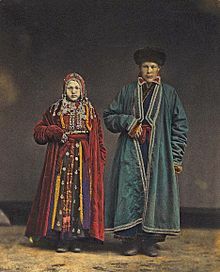 Most Bashkirs speak the Bashkir language, closely related to Tatar and Kazakh languages which belongs to the Kipchak branch of the Turkic languages and share cultural affinities with the broader Turkic peoples. In religion the Bashkirs are mainly Sunni Muslims of the Hanafi madhhab. There are many different theories regarding the etymology of the endonym Bashqort. According to a folk etymology mentioned by the 18th century ethnographers V. N. Tatishchev, P. I. Richkov, and Johann Gottlieb Georgi, the word Bashqort originally meant "wolf leader" (i.e. bash "head" and qort "wolf"). Historian V. S. Yumatov (1847) suggested the original meaning to be "beekeeper, beemaster". Historian and ethnologist A. E. Alektorov (1885) suggested that Bashqort means "distinct nation". The anthropologist R. M. Yusupov considers that Bashqort could have originally been an Iranian compound word meaning "wolf-children" or "descendants of heroes", i.e. bacha "descendant, child" and gurd "hero" or gurg "wolf". The historian Constantin Zuckerman cites the archaeologist and historian Mikhail Artamonov (1872–1972) as identifying phonological similarities between the name of the Bashkir and that of a little-known Scythian tribe of the southern Urals: the Bušxk' (or Bwsxk etc). However, this theory is rejected by both Zuckerman and historian R. H. Hewsen, who instead identifies the Bušxk with the Volga Bulgars. The Turkologist N. A. Baskakov believed that the word "Bashqort" consists of two parts: "badz(a)" – brother-in-law" and "(o)gur" and means "brothers-in-law of the Ugor [Magyars]". According to an orientalist Douglas Morton Dunlop, the ethnonym Bashqort comes from beshgur (or bashgur) which means "five tribes in the modern Bashkir language. Ethnologist N. V. Bikbulatov suggests that the term originates from the name of a legendary Khazar warlord Bashgird, who ruled an area centred on the Jayıq river. The ethnologist R. G. Kuzeev derives the ethnonym from a compound of "bash" — "main, head" and "qort" — " clan, tribe". A historian and linguist András Róna-Tas believes the ethonym "Bashkir" to be a Bulgar Turkic reflex of the Hungarian endonym Magyar (or the Old Hungarian Majer). 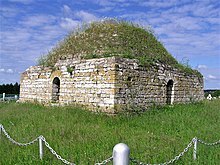 The first report about the Bashkirs is found in the Chinese chronicles of the Sui dynasty: 45 tribes called by originators as the Tiele people are listed in the "Book of Sui" (636 AD) in "A Narration about the Tiele people", Bashkirs being mentioned among them. The Bashkirs are also mentioned in "Ashkharatsuyts" (7th century). Starting from the 9th century, first written reports about Bashkirs by Arab and Persian authors began to appear. Sallam al-Tardzhuman (9th century); Ahmad ibn Fadlan, Al-Masudi, and Abu Zayd al-Balkhi (10th century); Said Al-Andalusi and Muhammad al-Idrisi (12th century); Ibn Sa'id al-Maghribi Yaqut al-Hamawi and Qazvini (13th century); Al-Dimashqi and Abu'l-Fida (14th century) wrote about Bashkirs. The first written Arab source on the Bashkirs belongs to the traveler Sallam an at-Tardzhuman. About 840 he visited the country of the Bashkir and roughly described its borders. Abu Zayd al-Balkhi (10th century) described Bashkirs as a people divided into two groups, one inhabiting the Southern Urals, the other living on the Danube plain near the boundaries of Byzantium. Ibn Rustah, a contemporary of Abu Zayd al-Balkhi, observed that Bashkirs were an independent people occupying territories on both sides of the Ural mountains ridge between Volga, Kama, and Tobol Rivers and upstream of the Yaik river. The first ethnographic description of the Bashkir was made by Ahmad ibn Fadlan — the ambassador of the Baghdad Caliph Al-Muqtadir to the governor of Volga Bulgaria. He visited the Bashkir lands in 922. The Bashkirs, according to Ibn Fadlan, were a warlike and powerful people, which he and his companions (a total of five thousand people, including military protection) "bewared... with the greatest threat". They were engaged in cattle breeding. Bashkirs worshipped twelve gods: winter, summer, rain, wind, trees, people, horses, water, night, day, death, heaven and earth, the one above all being the sky god. Apparently, Islam had already began its spread among the Bashkirs, as one of the ambassadors was a Muslim Bashkir. According to the testimony of Ibn Fadlan, the Bashkirs were Turks, living on the southern slopes of the Urals, and occupying a vast territory up to the Volga. They were bordered by Pechenegs on the south-east, by Bulgars on the west, and by Oghuz Turks on the south. The first European sources to mention the Bashkirs were the works of Joannes de Plano Carpini and William of Rubruquis (13th century). By 1236, lands of Bashkortostan were incorporated into the empire of Genghis Khan. During the 13th and 14th centuries, all of Bashkortostan was part of the Golden Horde. The brother of Batu-Khan, Sheibani, received the Bashkir lands to the east of the Ural Mountains. After the breakup of the Mongol Empire, the Bashkirs were divided among the Nogai Horde, the Khanate of Kazan and the Khanate of Sibir, founded in the 15th century. In the middle of the 16th century, Bashkirs joined the Tsardom of Russia. Charters of Ivan the Terrible to Bashkir tribes became the basis of their contractual relationship with the tsar’s government. 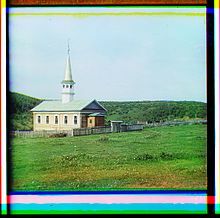 Primary documents pertaining to the Bashkirs during this period have been lost, although some are mentioned in the shezhere (family trees) of the Bashkir. In the late 16th and early 19th centuries Bashkirs occupied the territory from the left bank of the Volga on the south-west to the riverheads of Tobol in the east, from the river Sylva in the north, to the middle stream of the Yaik in the south, in the Middle and Southern Urals, in Cis-Urals, including Volga territory and Trans-Urals. The Bashkirs participated in the 1662–64, 1675–83 and 1704–11 rebellions. In 1676, the Bashkirs rebelled under a leader named Seyid Sadir or 'Seit Sadurov', and the Russian army had great difficulties in ending the rebellion. The Bashkirs rose again in 1707, under Aldar and Kûsyom, on account of ill-treatment by the Russian officials. The third insurrection occurred in 1735, at the time of the foundation of Orenburg, and it lasted for six years. From at least the time of Peter the Great there had been talk of pushing southeast toward Persia and India. Ivan Kirillov drew up a plan to build a fort to be called Orenburg at Orsk at the confluence of the Or River and the Ural River southeast of the Urals where the Bashkir, Kalmyk and Kazakh lands join. Work was started at Orsk in 1735, but by 1743 'Orenburg' was moved about 250 km west to its present location. The next planned step was to build a fort on the Aral Sea. This would involve crossing the Bashkir country and then the lands of the Kazakh Lesser Horde, some of whom had recently offered a nominal submission. Kirillov's plan was approved on May 1, 1734 and he was placed in command. He was warned that this would provoke a Bashkir rebellion, but the warnings were ignored. He left Ufa with 2,500 men in 1735 and fighting started on the first of July. The war consisted of many small raids and complex troop movements, so it cannot be easily summarized. For example: In the spring of 1736 Kirillov burned 200 villages, killed 700 in battle and executed 158. An expedition of 773 men left Orenburg in November and lost 500 from cold and hunger. During, at Seiantusa the Bashkir planned to massacre sleeping Russians. The ambush failed. One thousand villagers, including women and children, were put to the sword and another 500 driven into a storehouse and burned to death. Raiding parties then went out and burned about 50 villages and killed another 2,000. Eight thousand Bashkirs attacked a Russian camp and killed 158, losing 40 killed and three prisoners who were promptly hanged. Rebellious Bashkirs raided loyal Bashkirs. Leaders who submitted were sometimes fined one horse per household and sometimes hanged. Bashkirs fought on both sides (40% of 'Russian' troops in 1740). Numerous leaders rose and fell. The oddest was Karasakal or Blackbeard who pretended to have 82,000 men on the Aral Sea and had his followers proclaim him 'Khan of Bashkiria'. His nose had been partly cut off and he had only one ear. Such mutilations are standard Imperial punishments. The Kazakhs of the Little Horde intervened on the Russian side, then switched to the Bashkirs and then withdrew. Kirillov died of disease during the war and there were several changes of commander. All this was at the time of Empress Anna of Russia and the Russo-Turkish War (1735–1739). Although the history of the 1735 Bashkir War cannot be easily summarized, its results can be. The Russian Imperial goal of expansion into Central Asia was delayed to deal with the Bashkir problem. Bashkiria was pacified in 1735–1740. The southern side of Bashkiria was fenced off by the Orenburg Line of forts. It ran from Samara on the Volga east up the Samara River to its headwaters, crossed to the middle Ural River and followed it east and then north on the east side of the Urals and went east down the Uy River to Ust-Uisk on the Tobol River where it connected to the ill-defined 'Siberian Line' along the forest-steppe boundary. In 1740 a report was made of Bashkir losses which gave: Killed: 16,893, Sent to Baltic regiments and fleet: 3,236, Women and children distributed (presumably as serfs): 8,382, Grand Total: 28,511. Fines: Horses: 12,283, Cattle and Sheep: 6,076, Money: 9,828 rubles. Villages destroyed: 696. As this was compiled from army reports it excludes losses from irregular raiding, hunger, disease and cold. All this was from an estimated Bashkir population of 100,000. Later, in 1774, the Bashkirs, under the leadership of Salavat Yulayev, supported Pugachev's Rebellion. In 1786, the Bashkirs achieved tax-free status; and in 1798 Russia formed an irregular Bashkir army from among them. Residual land ownership disputes continued. 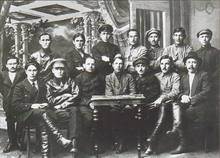 After the 1917 revolution are All-Bashkir Qoroltays (conventions) on which a decision on the need to create a national federal republic within Russia. As a result, 15 November 1917 Bashkir Regional (central) Shuro (Council) proclaims the establishment in areas with predominantly Bashkir population of Orenburg, Perm, Samara, Ufa provinces territorial and national autonomy Bashkurdistan. In December 1917, delegates to the All-Bashkir (constituent) Congress, representing the interests of the population edge of all nationalities, voted unanimously for the resolution (Farman #2) of the Bashkir regional Shuro the proclamation of national-territorial autonomy (of the republic) Bashkurdistan. The congress was formed the government of Bashkurdistan, the Pre-parliament – Kese-Qoroltay and other bodies of power and administration, and decisions were made on how to proceed. In March 1919, based on the agreements of the Russian Government with the Bashkir Government was formed Bashkir Autonomous Soviet Socialist Republic. October 11, 1990 the Supreme Council of the Republic was proclaimed the Declaration of State Sovereignty. March 31, 1992 Bashkortostan signed a federal agreement on the delimitation of powers and areas of jurisdiction between the authorities of the Russian Federation and the authorities of the sovereign republics in its composition and its Annex of the Republic of Bashkortostan, which determined the nature of the contractual relations between the Republic of Bashkortostan and the Russian Federation. Regarding Y-DNA haplogroups genetic studies have revealed that the dominant frequency for Bashkir males is for haplogroup R1b (R-M269 and R-M73) which is, on average, 47.6%. The Y-DNA haplogroup R-M269 (R1b1a2) is dominant among the Basques in western Europe. Following are the haplogroup R1a at the average frequency of 26,5%, and haplogroup N1c at 17%. In lower frequencies were also found haplogroups J2, C, O, E1b, G2a, L, N1b, I, T. The main branch of R1a in Bashkirs is Z93, specifically Z2125, which peaks in Central Asia, among Bashkirs at 31%. Despite the Bashkirs being Turkic peoples, the haplogroups R1b and R1a is mostly linked with Indo-Europeans. Most mtDNA haplogroups found in Bashkirs (60–65%) consist of the haplogroups G, D, С, Z and F; which are lineages characteristic of East Eurasian populations. On the other hand, mtDNA haplogroups characteristic of European and Near Eastern populations were also found in significant amounts (35–40%). According to the study Suslova et al. 2015: "The Bashkirs appear close to Mongoloids in allele and haplotype distribution. However, Bashkirs cannot be labelled either as typical Mongoloids or as Caucasoids. 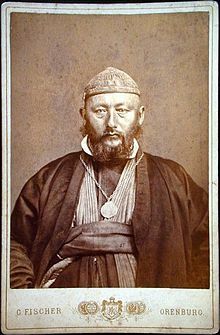 Thus, Bashkirs possess some alleles and haplotypes frequent in Mongoloids, which supports the Turkic impact on Bashkir ethnogenesis, but also possess the AH 8.1 haplotype, which could evidence an ancient Caucasoid population that took part in their ethnic formation... Bashkirs showed no features of populations with a substantial Finno-Ugric component, for example Chuvashes or Russian Saami. This disputes the commonly held belief of a Finno-Ugric origin for Bashkirs..."
The Bashkirs are characterized by East-Asian admixture, which dates from the 13th century, according to an analysis of the identical-by-descent segments. Bashkir language is a Turkic language of the Kypchak group. Main dialects: Southern, Eastern and North-Western. Distributed in the territory of Historical Bashkortostan. The Russian census of 2010 recorded 1,152,404 Bashkir speakers in the Russian Federation. Bashkir language is native to 1 133 339 Bashkirs (71,7% of the total number of Bashkirs, reporting mother tongue). The Tatar language is called native 230 846 Bashkirs (14,6%). Russian language is native to 216 066 Bashkir (13,7%). Most Bashkirs are bilingual in Bashkir and Russian. The Bashkir tribes in ancient times used the Old Turkic alphabet. After the adoption of Islam, which began in the 10th century and lasted for several centuries, the Bashkirs began to use the Arabic alphabet. Since the mid-18th century begins the formation of the Bashkir national literature. In 1923, the approved Bashkir alphabet based on Arabic alphabet. In 1929 appears the Bashkir alphabet based on the Latin alphabet (yanalif). In 1940 introduced the alphabet based on Cyrillic alphabet. The modern Bashkir alphabet consists of 42 letters. The area settled by the Bashkirs according to the national census of 2010. The ethnic Bashkir population is estimated at roughly 2 million people (2009 SIL Ethnologue). 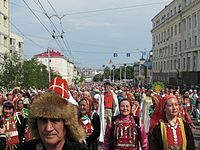 The 2010 Russian census recorded 1,584,554 ethnic Bashkirs in Russia, of which 1,172,287 Bashkirs live in Bashkortostan (29.5% of the total population of the republic). The Bashkirs traditionally practiced agriculture, cattle-rearing and bee-keeping. The half-nomadic Bashkirs wandered either the mountains or the steppes, herding cattle. Wild-hive beekeeping can be named as a separate component of the most ancient culture which is practiced in the same Burzyansky District near to the Kapova Cave. Traditional Bashkir dish bishbarmaq is prepared from boiled meat and halma (the kind of noodles), sprinkled with herbs flavored with onions and some qorot (young dry cheese). This is another notable feature of the Bashkir cuisine: dishes often served dairy products — rare party without qorot or qaymaq (sour cream). Most of the dishes Bashkir cuisine is nutritious and easy to prepare. A series of epic Bashkir works called Ural-batyr and Akbuzat keeps layers of ancient mythology and have parallels with the Epic of Gilgamesh, Rigveda, and Avesta. Their plots concern the struggle of heroes against demonic forces. A peculiarity of them is that events and ceremonies described there may reference a specific geographical place; the Shulgan-Tash cave and its vicinity. In the pre-Islamic period the Bashkirs were followers of Tengrianism. Bashkirs began to convert to Islam in the 10th century. Arab traveler Ibn Fadlan in 921 met some of the Bashkirs, who were Muslims. The final assertion of Islam among the Bashkirs occurred in the 1320s and 1330s (Golden Horde times). 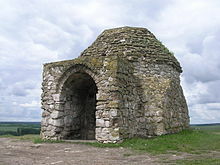 On the territory of Bashkortostan preserved the burial place of the first Imam of Historical Bashkortostan — The mausoleum of Hussein-Bek [ru], 14th-century building. In 1788 Catherine the Great established the "Orenburg Mohammedan Spiritual Assembly [ru]" in Ufa, which was the first Muslim administrative center in Russia. In yearly 1990s began the religious revival among the Bashkirs. According to Talgat Tadzhuddin there are more than 1,000 mosques in Bashkortostan in 2010. The Bashkirs are predominantly Sunni Muslims of the Hanafi madhhab. ^ "ВПН-2010". Perepis-2010.ru. Retrieved 2015-03-16. ^ "8. НАСЕЛЕНИЕ НАИБОЛЕЕ МНОГОЧИСЛЕННЫХ" (PDF). Gks.ru. Retrieved 2015-03-16. ^ Peter B. Golden, Haggai Ben-Shammai & András Róna-Tas, The World of the Khazars: New Perspectives, Leiden/Boston, Brill, 2007, pp. 422–423. ^ Европейско-Азиатские Новости. Возраст Башкирского народного сказания составляет четыре тысячи лет. 2006: "Позже Салават Галлямов, опираясь на исследования члена-корреспондента Академии наук СССР, доктора филологических наук Николая Дмитриева, указавшего на наличие иранской фонетики в современном языке башкир Южного Урала, .. and; Марина Шумилова. "Башинформ", Уфа, 12 октября. Гипотеза об индоиранском происхождении башкир получила новое подтверждение. ^ Антропология башкир/Бермишева М. А., Иванов В. А., Киньябаева Г. А. и др. СПб., Алетейя, 2011, 496 с., С.339. ^ "Analysis of Mitochondrial DNA Lineages in Yakuts" (PDF). ^ Suslova, T. A.; Burmistrova, A. L.; Chernova, M. S.; Khromova, E. B.; Lupar, E. I.; Timofeeva, S. V.; Devald, I. V.; Vavilov, M. N.; Darke, C. (1 October 2012). "HLA gene and haplotype frequencies in Russians, Bashkirs and Tatars, living in the Chelyabinsk Region (Russian South Urals)". International Journal of Immunogenetics. 39 (5): 394–408. doi:10.1111/j.1744-313X.2012.01117.x. ISSN 1744-313X. PMID 22520580. ^ Yunusbayev, Bayazit; Metspalu, Mait; Metspalu, Ene; Valeev, Albert; Litvinov, Sergei; Valiev, Ruslan; Akhmetova, Vita; Balanovska, Elena; Balanovsky, Oleg; Turdikulova, Shahlo; Dalimova, Dilbar; Nymadawa, Pagbajabyn; Bahmanimehr, Ardeshir; Sahakyan, Hovhannes; Tambets, Kristiina; Fedorova, Sardana; Barashkov, Nikolay; Khidiyatova, Irina; Mihailov, Evelin; Khusainova, Rita; Damba, Larisa; Derenko, Miroslava; Malyarchuk, Boris; Osipova, Ludmila; Voevoda, Mikhail; Yepiskoposyan, Levon; Kivisild, Toomas; Khusnutdinova, Elza; Villems, Richard (21 April 2015). "The Genetic Legacy of the Expansion of Turkic-Speaking Nomads across Eurasia". PLOS Genet. 11 (4): e1005068. doi:10.1371/journal.pgen.1005068. ISSN 1553-7404. ^ Shireen Hunter, Jeffrey L. Thomas, Alexander Melikishvili, "Islam in Russia: The Politics of Identity and Security", M.E. Sharpe Inc.
Chisholm, Hugh, ed. (1911). "Bashkirs" . Encyclopædia Britannica (11th ed.). Cambridge University Press. Rudenko, S. I. (2006). Башкиры: историко-этнографические очерки [The Bashkirs: historical and ethnographic essays] (in Russian). Ufa: Kitap. ISBN 5-295-03899-8. Kuzeev, R. G. (2010). Происхождение башкирского народа. Этнический состав, история расселения [The origin of the Bashkir people. Ethnic composition, history of settlement] (in Russian). Ufa: DizainPoligrafServis. ISBN 978-5-94423-212-0. Bermisheva, M. A.; Ivanov, V. A.; Kinyabaeva, G. A.; et al. (2011). Антропология башкир [Anthropology of the Bashkirs] (in Russian). Saint-Petersburg: Aleteya. ISBN 978-5-91419-386-4. Kulsharipov, M. M., ed. (2009). История башкирского народа: в 7 т. Т. I [History of the Bashkir people: 7 vol. Vol. I] (in Russian). Moscow: Nauka. ISBN 978-5-02-037010-4. Kulsharipov, M. M., ed. (2012). История башкирского народа: в 7 т. Т. II [History of the Bashkir people: 7 vol. Vol. II] (in Russian). Ufa: Gilem. ISBN 978-5-91608-100-8. Kulsharipov, M. M., ed. (2011). История башкирского народа: в 7 т. Т. III [History of the Bashkir people: 7 vol. Vol. III] (in Russian). Ufa: Gilem. ISBN 978-5-7501-1301-9. Kulsharipov, M. M., ed. (2011). История башкирского народа: в 7 т. Т. IV [History of the Bashkir people: 7 vol. Vol. IV] (in Russian). Moscow: Nauka. ISBN 978-5-02-038276-3. Kulsharipov, M. M., ed. (2009). История башкирского народа: в 7 т. Т. V [History of the Bashkir people: 7 vol. Vol. V] (in Russian). Ufa: Gilem. ISBN 978-5-7501-1199-2. Kulsharipov, M. M., ed. (2009). История башкирского народа: в 7 т. Т. VI [History of the Bashkir people: 7 vol. Vol. VI] (in Russian). Moscow: Nauka. ISBN 978-5-02-036494-3. Kulsharipov, M. M., ed. (2012). История башкирского народа: в 7 т. Т. VII [History of the Bashkir people: 7 vol. Vol. VII] (in Russian). Ufa: Gilem. ISBN 978-5-4466-0040-3. Asfandiyarov, A. Z., ed. (2013). Военная история башкир: энциклопедия [Military history of Bashkirs: Encyclopedia] (in Russian). Ufa: Bashkir encyclopedia. ISBN 978-5-8818-5076-0. Kuzeev, R. G.; Danilko, E. S., eds. (2015). Башкиры [The Bashkirs] (in Russian). Moscow: Nauka. ISBN 978-5-02-039182-6. Ilgamov, M.A., ed. (2015–2016). Башкирская энциклопедия: в 7 томах [Bashkir encyclopedia: 7 vol.] (in Russian). Ufa: Bashkir encyclopedia. ISBN 978-5-88185-306-8. Wikimedia Commons has media related to Bashkir people.